We present the results of an investigation of the nonlinear characteristics of a new class of robust, multimaterial, all-solid chalcogenide nanotapers prepared from high-index-contrast chalcogenide fibers. The fiber is drawn from a preform produced by multimaterial coextrusion and consists of chalcogenide core and cladding (which dictate the optical properties) and a built-in thermally compatible polymer jacket that provides mechanical stability to the fibers and nanotapers. We measure the nonlinear refractive indices both in the bulk chalcogenide glasses using the Z-scan method and directly in the nanotapers from spectral broadening resulting from self-phase modulation using both picosecond and femtosecond pulses. Such robust nanotapers offer many opportunities for dispersion engineering to optimize nonlinear optical fiber applications such as infrared supercontinuum generation. Low-power femtosecond pulses (∼100 W peak power, corresponding to ∼40 pJ energy per pulse) centered at 1.55 μm wavelength launched into the nanotapers generated a supercontinuum extending over a full spectral octave, 1–2 μm. A computational model that takes into account the relevant linear and nonlinear optical parameters provides simulations that are in good agreement with the supercontinuum measurements. J. S. Sanghera, I. D. Aggarwal, L. B. Shaw, L. E. Busse, P. Thielen, V. Nguyen, P. Pureza, S. Bayya, and F. Kung, “Applications of chalcogenide glass optical fibers at NRL,” J. Optoelectron. Adv. Mater. 3, 627–640 (2001). B. J. Eggleton, B. Luther-Davies, and K. Richardson, “Chalcogenide photonics,” Nat. Photonics 5, 141–148 (2011). A. Zakery and S. R. Elliott, Optical Nonlinearities in Chalcogenide Glasses and their Applications (Springer-Verlag, 2007). M. Asobe, “Nonlinear optical properties of chalcogenide glass fibers and their application to all-optical switching,” Opt. Fiber Technol. 3, 142–148 (1997). G. Lenz, J. Zimmermann, T. Katsufuji, M. E. Lines, H. Y. Hwang, S. Spälter, R. E. Slusher, S.-W. Cheong, J. S. Sanghera, and I. D. Aggarwal, “Large Kerr effect in bulk Se-based chalcogenide glasses,” Opt. Lett. 25, 254–256 (2000). Q. Liu, X. Zhao, F. Gan, J. Mi, and S. Qian, “Femtosecond optical Kerr effect study of amorphous chalcogenide films,” J. Non-Cryst. Solids 352, 2351–2354 (2006). L. Fu, V. G. Ta’eed, E. C. Mägi, I. C. M. Littler, M. D. Pelusi, M. R. E. Lamont, A. Fuerbach, H. C. Nguyen, D. I. Yeom, and B. J. Eggleton, “Highly nonlinear chalcogenide fibres for all-optical signal processing,” Opt. Quantum Electron. 39, 1115–1131 (2007). Y. Xu, H. Zeng, G. Yang, G. Chen, Q. Zhang, and L. Xu, “Third-order nonlinearities in GeSe2In2Se3CsI glasses for telecommunications applications,” Opt. Mater. 31, 75–78 (2008). M. D. Pelusi, F. Luan, E. Magi, M. R. Lamont, D. J. Moss, B. J. Eggleton, J. S. Sanghera, L. B. Shaw, and I. D. Aggarwal, “High bit rate all-optical signal processing in a fiber photonic wire,” Opt. Express 16, 11506–11512 (2008). B. J. Eggleton, T. D. Vo, R. Pant, J. Schröder, M. D. Pelusi, D. Y. Choi, S. J. Madden, and B. L. Davies, “Photonic chip based ultrafast optical processing based on high nonlinearity dispersion engineered chalcogenide waveguides,” Laser Photon. Rev. 6, 97–114 (2012). L. B. Shaw, P. A. Thielen, F. H. Kung, V. Q. Nguyen, J. Sanghera, and I. Aggarwal, “IR supercontinuum generation in As–Se photonic crystal fiber,” in Proceedings of Advanced Solid State Photonics (2005), paper TuC5. R. R. Gattass, L. B. Shaw, V. Nguyen, P. Pureza, I. D. Aggarwal, and J. S. Sanghera, “All-fiber chalcogenide-based mid-infrared supercontinuum source,” Opt. Fiber Technol. 18, 345–348 (2012). P. Domachuk, N. A. Wolchover, M. Cronin-Golomb, A. Wang, A. K. George, C. M. B. Cordeiro, J. C. Knight, and F. G. Omenetto, “Over 4000 nm bandwidth of mid-IR supercontinuum generation in sub-centimeter segments of highly nonlinear tellurite PCFs,” Opt. Express 16, 7161–7168 (2008). G. Qin, X. Yan, C. Kito, M. Liao, T. Suzuki, A. Mori, and Y. Ohishi, “Highly nonlinear tellurite microstructured fibers for broadband wavelength conversion and flattened supercontinuum generation,” J. Appl. Phys. 107, 043108 (2010). Z. Chen, A. J. Taylor, and A. Efimov, “Coherent mid-infrared broadband continuum generation in non-uniform ZBLAN fiber taper,” Opt. Express 17, 5852–5860 (2009). O. P. Kulkarni, V. V. Alexander, M. Kumar, M. J. Freeman, M. N. Islam, F. L. Terry, M. Neelakandan, and A. Chan, “Supercontinuum generation from ∼1.9 to 4.5 μm in ZBLAN fiber with high average power generation beyond 3.8 μm using a thulium-doped fiber amplifier,” J. Opt. Soc. Am. B 28, 2486–2498 (2011). J. S. Sanghera, L. B. Shaw, and I. D. Aggarwal, “Applications of chalcogenide glass optical fibers,” C.R. Chim. 5, 873–883 (2002). C. Florea, L. Busse, J. Sanghera, B. Shaw, and I. R. Aggarwal, “A simple phenomenological study of photodarkening in As2S3 glasses,” Opt. Mater. 34, 1389–1393 (2012). I. V. Fekeshgazi, K. V. Mai, N. I. Matelesko, V. M. Mitsa, and E. I. Borkach, “Structural transformations and optical properties of As2S3 chalcogenide glasses,” Semiconductors 39, 951–954 (2005). R. E. Slusher, G. Lenz, J. Hodelin, J. Sanghera, L. B. Shaw, and I. D. Aggarwal, “Large Raman gain and nonlinear phase shifts in high-purity As2Se3 chalcogenide fibers,” J. Opt. Soc. Am. B 21, 1146–1155 (2004). S. Shabahang, G. Tao, J. J. Kaufman, and A. F. Abouraddy, “Dispersion characterization of chalcogenide bulk glass, composite fibers, and robust nanotapers,” J. Opt. Soc. Am. B 30, 2498–2506 (2013). M. Duhant, W. Renard, G. Canat, T. N. Nguyen, F. Smektala, J. Troles, Q. Coulombier, P. Toupin, L. Brilland, P. Bourdon, and G. Renversez, “Fourth-order cascaded Raman shift in AsSe chalcogenide suspended-core fiber pumped at 2 μm,” Opt. Lett. 36, 2859–2861 (2011). L. B. Shaw, R. R. Gattass, J. S. Sanghera, and I. D. Aggarwal, “All-fiber mid-IR supercontinuum source from 1.5 to 5 μm,” Proc. SPIE 7914, 79140P (2011). 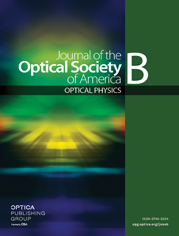 J. M. Dudley, G. Genty, and S. Coen, “Supercontinuum generation in photonic crystal fiber,” Rev. Mod. Phys. 78, 1135–1184 (2006). N. Granzow, S. Stark, M. Schmidt, A. Tverjanovich, A. L. Wondraczek, and P. Russell, “Supercontinuum generation in chalcogenide-silica step-index fibers,” Opt. Express 19, 21003–21010 (2011). R. Ahmad and M. Rochette, “High efficiency and ultra broadband optical parametric four-wave mixing in chalcogenide-PMMA hybrid microwires,” Opt. Express 20, 9572–9580 (2012). C. Baker and M. Rochette, “High nonlinearity and single-mode transmission in tapered multimode As2Se3-PMMA fibers,” IEEE Photon. J. 4, 960–969 (2012). C. Chaudhari, M. Liao, T. Suzuki, and Y. Ohishi, “Chalcogenide core tellurite cladding composite microstructured fiber for nonlinear applications,” J. Lightwave Technol. 30, 2069–2076 (2012). L. Brilland, F. Smektala, G. Renversez, T. Chartier, J. Troles, T. N. Nguyen, N. Traynor, and A. Monteville, “Fabrication of complex structures of holey fibers in chalcogenide glass,” Opt. Express 14, 1280–1285 (2006). W. Gao, M. Liao, X. Yan, C. Kito, T. Kohoutek, T. Suzuki, M. E. Amraoui, J. C. Jules, G. Gadret, F. Désévédavy, F. Smektala, and Y. Ohishi, “Visible light generation and its influence on supercontinuum in chalcogenide As2S3 microstructured optical fiber,” Appl. Phys. Express 4, 102601 (2011). M. El-Amraoui, G. Gadret, J. C. Jules, J. Fatome, C. Fortier, F. Désévédavy, I. Skripatchev, Y. Messaddeq, J. Troles, L. Brilland, W. Gao, T. Suzuki, Y. Ohishi, and F. Smektala, “Microstructured chalcogenide optical fibers from As2S3 glass: towards new IR broadband sources,” Opt. Express 18, 26655–26665 (2010). K. M. Mohsin, M. S. Alam, D. M. N. Hasan, and M. N. Hossain, “Dispersion and nonlinearity properties of a chalcogenide As2Se3 suspended core fiber,” Appl. Opt 50, E102–E107 (2011). M. El-Amraoui, J. Fatome, J. C. Jules, B. Kibler, G. Gadret, C. Fortier, F. Smektala, I. Skripatchev, C. Polacchini, Y. Messaddeq, J. Troles, L. Brilland, M. Szpulak, and G. Renversez, “Strong infrared spectral broadening in low-loss As-S chalcogenide suspended core microstructured optical fibers,” Opt. Express 18, 4547–4556 (2010). M. Liao, X. Yan, G. Qin, C. Chaudhari, T. Suzuki, and Y. Ohishi, “Controlling the chromatic dispersion of soft glass highly nonlinear fiber through complex microstructure,” J. Non-Cryst. Solids 356, 2613–2617 (2010). E. C. Mägi, L. B. Fu, H. C. Nguyen, M. R. E. Lamont, D. I. Yeom, and B. J. Eggleton, “Enhanced Kerr nonlinearity in sub-wavelength diameter As2Se3 chalcogenide fiber tapers,” Opt. Express 15, 10324–10329 (2007). D. D. Hudson, S. A. Dekker, E. C. Mägi, A. C. Judge, S. D. Jackson, E. Li, J. S. Sanghera, L. B. Shaw, I. D. Aggarwal, and B. J. Eggleton, “Octave spanning supercontinuum in an As2S3 taper using ultralow pump pulse energy,” Opt. Lett. 36, 1122–1124 (2011). L. B. Fu, M. D. Pelusi, E. C. Mägi, V. G. Ta’eed, and B. J. Eggleton, “Broadband all-optical wavelength conversion of 40 Gbit/s,” Electron. Lett. 44, 44–46 (2008). D. I. Yeom, E. C. Mägi, M. R. E. Lamont, M. A. F. Roelens, L. Fu, and B. J. Eggleton, “Low-threshold supercontinuum generation in highly nonlinear chalcogenide nanowires,” Opt. Lett. 33, 660–662 (2008). F. Luan, J. Van Erps, M. D. Pelusi, E. Mägi, T. Iredale, H. Thienpont, and B. J. Eggleton, “High-resolution optical sampling of 640 Gbit/s data using dispersion-engineered chalcogenide photonic wire,” Electron. Lett. 46, 231–232 (2010). T. A. Birks, W. J. Wadsworth, and P. St. J. Russell, “Supercontinuum generation in tapered fibers,” Opt. Lett. 25, 1415–1417 (2000). A. Marandi, C. W. Rudy, V. G. Plotnichenko, E. M. Dianov, K. L. Vodopyanov, and R. L. Byer, “Mid-infrared supercontinuum generation in tapered chalcogenide fiber for producing octave-spanning frequency comb around 3 μm,” Opt. Express 20, 24218–24225 (2012). C. W. Rudy, A. Marandi, K. L. Vodopyanov, and R. L. Byer, “Octave-spanning supercontinuum generation in in situ tapered As2S3 fiber pumped by a thulium-doped fiber laser,” Opt. Lett. 38, 2865–2868 (2013). G. Tao, S. Shabahang, E.-H. Banaei, J. J. Kaufman, and A. F. Abouraddy, “Multimaterial preform coextrusion for robust chalcogenide optical fibers and tapers,” Opt. Lett. 37, 2751–2753 (2012). S. Shabahang, M. P. Marquez, G. Tao, M. U. Piracha, D. Nguyen, P. J. Delfyett, and A. F. Abouraddy, “Octave-spanning infrared supercontinuum generation in robust chalcogenide nanotapers using picosecond pulses,” Opt. Lett. 37, 4639–4641 (2012). M. Sheik-Bahae, A. A. Said, T. H. Wei, D. J. Hagan, and E. W. Van Stryland, “Sensitive measurement of optical nonlinearities using a single beam,” IEEE J. Quantum Electron. 26, 760–769 (1990). G. Tao, A. M. Stolyarov, and A. F. Abouraddy, “Multimaterial fibers,” Int. J. Appl. Glass Sci. 3, 349–368 (2012). S. Shabahang, J. J. Kaufman, D. S. Deng, and A. F. Abouraddy, “Observation of the Plateau–Rayleigh capillary instability in multi-material optical fibers,” Appl. Phys. Lett. 99, 161909 (2011). J. J. Kaufman, G. Tao, S. Shabahang, E.-H. Banaei, D. S. Deng, X. Liang, S. G. Johnson, Y. Fink, and A. F. Abouraddy, “Structured spheres generated by an in-fibre fluid instability,” Nature 487, 463–467 (2012). J. J. Kaufman, G. Tao, S. Shabahang, D. S. Deng, Y. Fink, and A. F. Abouraddy, “Thermal drawing of high-density macroscopic arrays of well-ordered sub-5-nm-diameter nanowires,” Nano Lett. 11, 4768–4773 (2011). G. Brambilla, F. Xu, P. Horak, Y. Jung, F. Koizumi, N. P. Sessions, E. Koukharenko, X. Feng, G. S. Murugan, J. S. Wilkinson, and D. J. Richardson, “Optical fiber nanowires and microwires: fabrication and applications,” Adv. Opt. Photon. 1, 107–161 (2009). G. P. Agrawal, Nonlinear Fiber Optics (Academic, 2001). G. Imeshev and M. E. Fermann, “230-kW peak power femtosecond pulses from a high power tunable source based on amplification in Tm-doped fiber,” Opt. Express 13, 7424–7431 (2005). M. A. Solodyankin, E. D. Obraztsova, A. S. Lobach, A. I. Chernov, A. V. Tausenev, V. I. Konov, and E. M. Dianov, “Mode-locked 1.93 μm thulium fiber laser with a carbon nanotube absorber,” Opt. Lett. 33, 1336–1338 (2008). K. Kieu and F. W. Wise, “Soliton thulium-doped fiber laser with carbon nanotube saturable absorber,” IEEE Photon. Technol. Lett. 21, 128–130 (2009). F. Haxsen, D. Wandt, U. Morgner, J. Neumann, and D. Kracht, “Pulse characteristics of a passively mode-locked thulium fiber laser with positive and negative cavity dispersion,” Opt. Express 18, 18981–18988 (2010). M. Yaman, H. E. Kondakci, and M. Bayindir, “Large and dynamical tuning of a chalcogenide Fabry–Perot cavity mode by temperature modulation,” Opt. Express 18, 3168–3173 (2010). W. C. Hurlbut, Y.-S. Lee, K. L. Vodopyanov, P. S. Kuo, and M. M. Fejer, “Multiphoton absorption and nonlinear refraction of GaAs in the mid-infrared,” Opt. Lett. 32, 668–670 (2007). M. Sheik-Bahae, D. C. Hutchings, D. J. Hagan, and E. W. Van Stryland, “Dispersion of bound electronic nonlinear refraction in solids,” IEEE J. Quantum Electron. 27, 1296–1309 (1991). D. Milam, “Review and assessment of measured values of the nonlinear refractive-index coefficient of fused silica,” Appl. Opt. 37, 546–550 (1998). J. Hu, C. R. Menyuk, L. B. Shaw, J. S. Sanghera, and I. D. Aggarwal, “Maximizing the bandwidth of supercontinuum generation in As2Se3 chalcogenide fibers,” Opt. Express 18, 6722–6739 (2010). C. Xiong, E. Magi, F. Luan, A. Tuniz, S. Dekker, J. S. Sanghera, L. B. Shaw, I. D. Aggarwal, and B. J. Eggleton, “Characterization of picosecond pulse nonlinear propagation in chalcogenide As2S3 fiber,” Appl. Opt. 48, 5467–5474 (2009). Fig. 1. (a) Closed-aperture and (b) open-aperture (three-photon absorption here) Z-scan results for a As2Se1.5S1.5 sample at different incident femtosecond-pulse energies (see text and Appendix A for details). The dots are the measured values and the solid lines are the fitted curves. The inset in (b) is a photograph of the As2Se1.5S1.5 sample. Fig. 2. (a) Scanning electron microscope (SEM) micrograph of the cross section of the robust, composite ChG fiber used to prepare the nanotaper samples. P: PES polymer jacket. (b) A higher-magnification SEM micrograph of the fiber cross section highlighting the ChG core/cladding structure. (c) A typical robust nanotaper with minimum core diameter at the axial midpoint of dcmin=500 nm maintained over ≈20% of its 50-mm length. Fig. 3. (a) Longitudinal core diameter dc profiles of the four samples used in the experiments; z is taken along the nanotaper axis. (dcmin, L) of Samples through 4 are: (580 nm, 42 mm), (400 nm, 25 mm), (375 nm, 46 mm), and (250 nm, 68 mm), respectively. See also Table 2. (b) The total GVD parameter β2 as a function dc calculated at λ=1.55 and 2 μm. (c) The blue curve (left vertical axis) shows the diameter of the fundamental mode dm at λ=1.55 μm, which indicates the optical-mode confinement when compared to dc, and the green curve (right vertical axis) is the nonlinear coefficient γ of the fiber as a function of core diameter dc, calculated for the fundamental mode at λ=1.55 μm. The inset shows the region of the curve of γ that is encircled (dashed circle) and highlights the non-monotonic relationship between dm and dc at submicrometer core diameters (250 nm<dc<1 μm). The two-dashed vertical lines in the inset correspond to dc=600 nm (where dm/dc exceeds 1) and dc=450 nm (where confinement by the polymer jacket starts to dominate). See text for details. Fig. 4. Experimental setup for SPM and SCG characterization. L, aspheric lens; FC, fiber collimator; FM, flip mirror; SMF, single-mode fiber. Two identical lenses L are used at the nanotaper sample input and output for coupling. Fig. 5. SPM characterization results obtained in two different experiments: (a) picosecond pulses launched into nanotaper Sample 4 and (b) femtosecond pulses launched into nanotaper Sample 2. The power levels are the input peak powers for each sample without corrections for Fresnel reflection from the sample facets. Fig. 6. SPM simulation results for the two different experiments shown in Fig. 5: (a) picosecond pulses launched into Sample 4 and (b) femtosecond pulses launched into Sample 2. The power levels are the estimated peak powers in the tapered section of each sample after correcting for Fresnel reflections at the sample facets and nanotaper losses (see text for details). Fig. 7. (a) Measured and (b) simulated supercontinua for Sample 1, Sample 3, and Sample 4 when femtosecond pulses are launched. The input pulse parameters are as follows: 4.5 mW average power, 20 MHz repetition rate, and 400 fs FWHM pulsewidth. The peak power levels in the simulated spectra are estimated at 125, 100, and 106 W for Sample 1, Sample 3, and Sample 4, respectively.